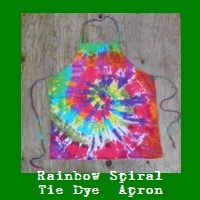 Learn to tie dye just like the hippies! 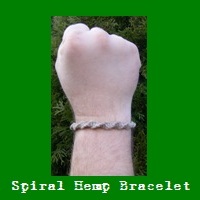 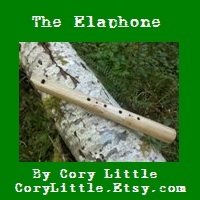 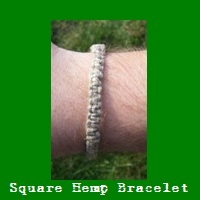 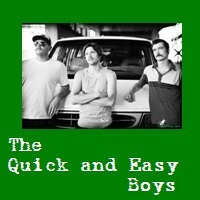 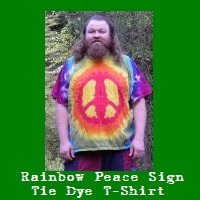 Welcome to Made By Hippies Dot Com! 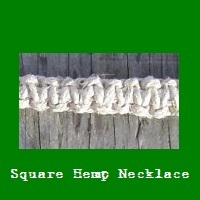 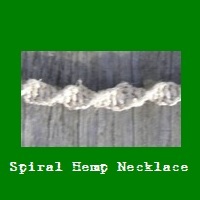 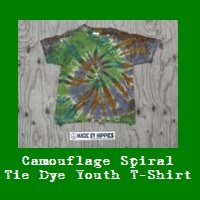 Made By Hippies is a retailer & wholesaler of handmade tie dye clothing, chainmaille, glass & hemp jewelry, glass and polymer clay functional art & handmade soaps and beauty products. 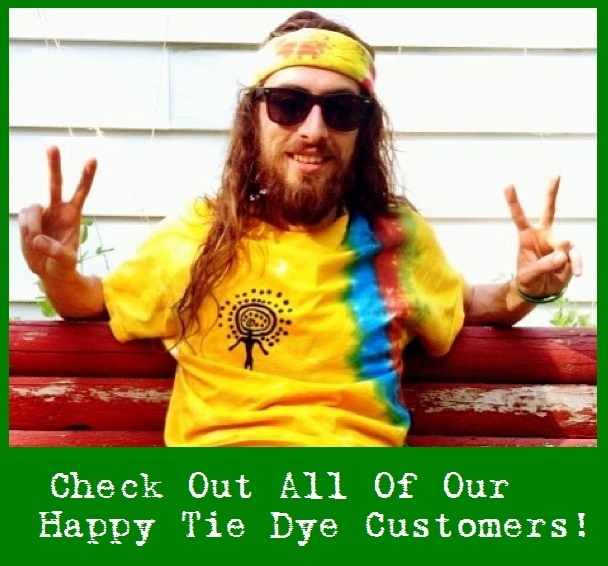 We wash all our tie dyes three times with hot water and super strength detergent during the Tie Dye process so you can wash them with your regular laundry and they won't bleed dye - Guaranteed!! 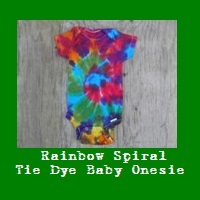 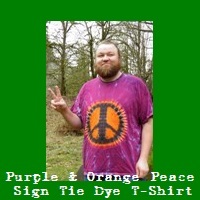 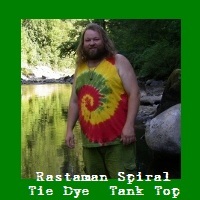 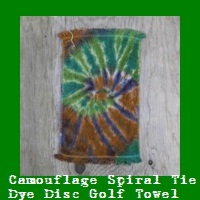 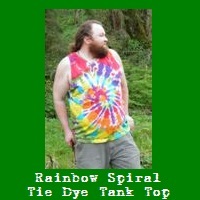 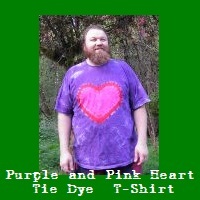 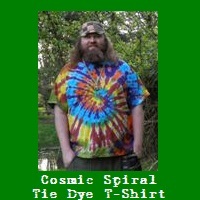 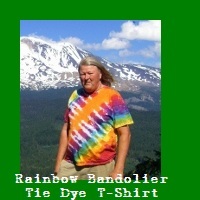 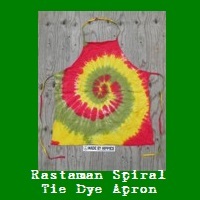 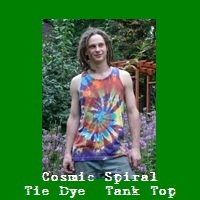 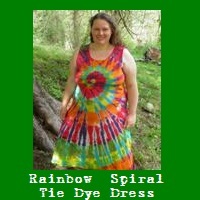 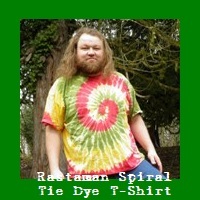 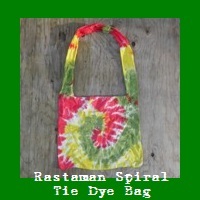 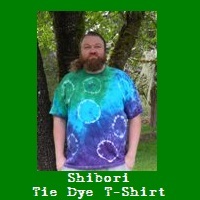 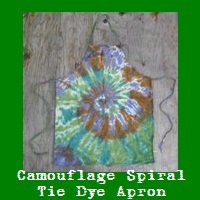 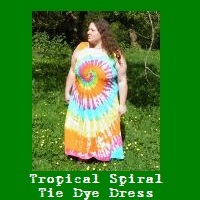 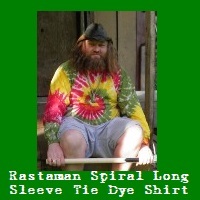 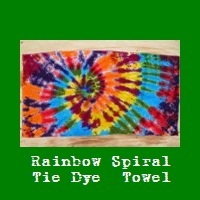 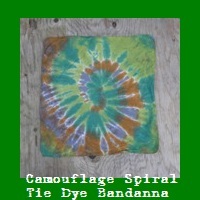 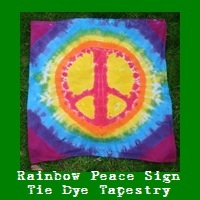 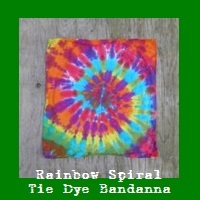 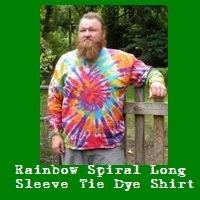 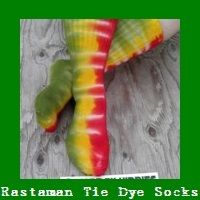 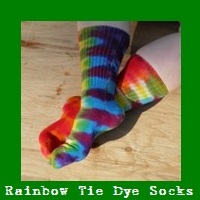 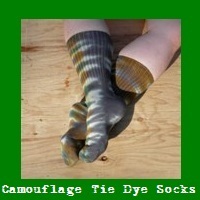 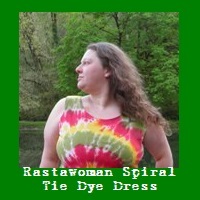 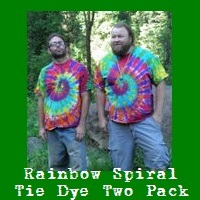 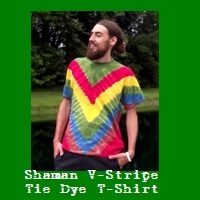 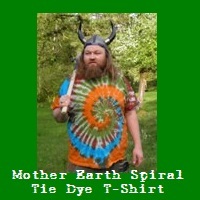 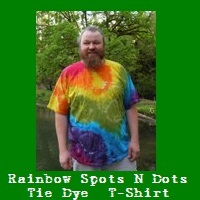 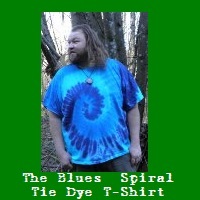 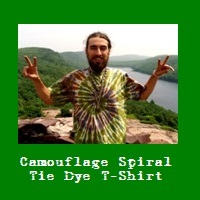 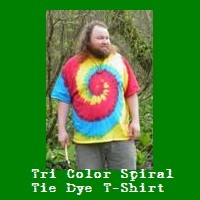 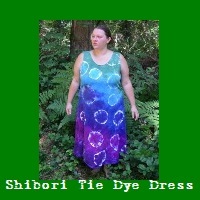 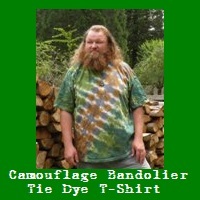 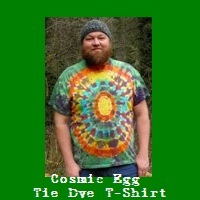 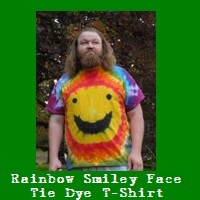 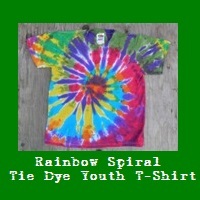 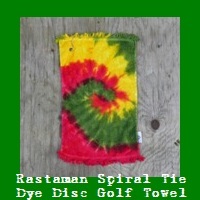 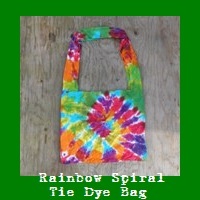 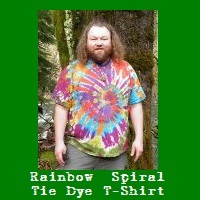 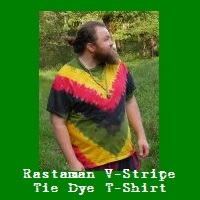 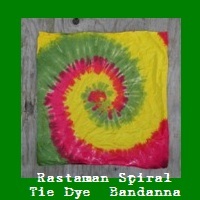 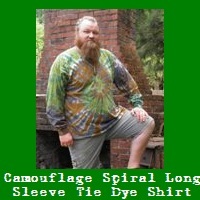 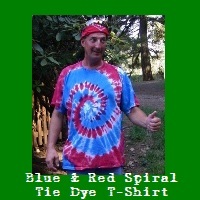 Check out http://www.MadeByHippiesTieDyes.com to view our newest tie dye shop. 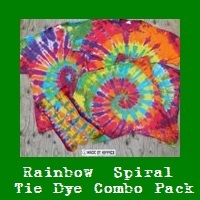 The Tie Dyes below are in stock. 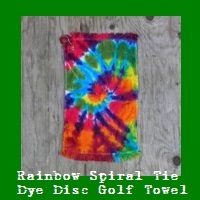 Click on a picture to go to that items page. 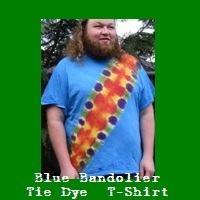 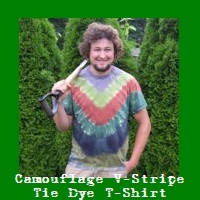 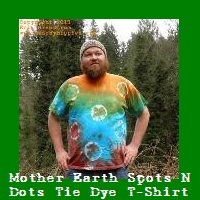 Check out http://www.etsy.com/shop/madebyhippies to view our one of a kind tie dyes. 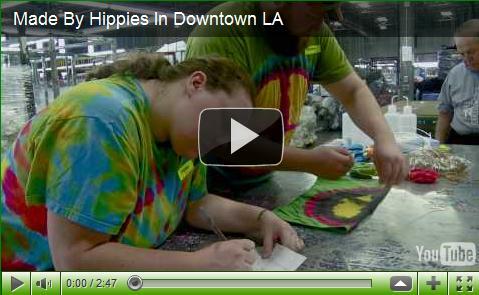 In April 2009 we were hired by American Apparel to teach them how to tie dye at their factory in L.A. 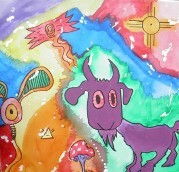 It was a great time and they even made a video about our trip down there. 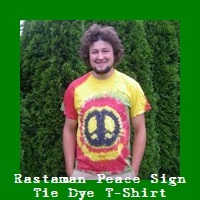 The Hippies vending at the North West World Reggae Festival, August 2008. 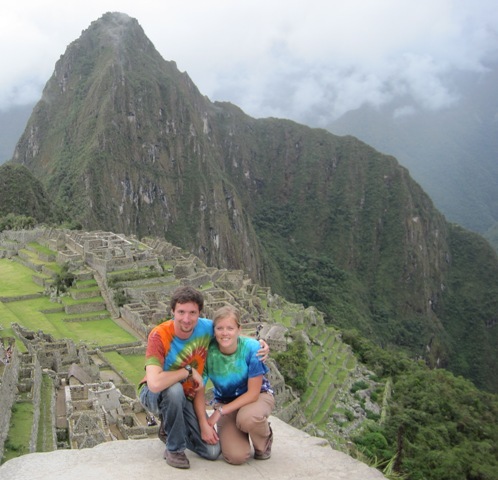 Bryce and Emily wear their Made By Hippies Tie Dyes while visiting Machu Pichu, Peru in January 2011. 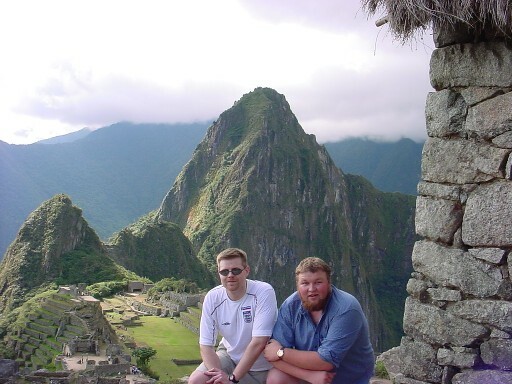 From the Hippy Travel Archives: Thomas and Erik visiting Machu Pichu, Peru in June 2002. 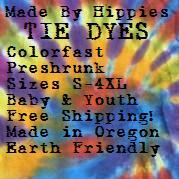 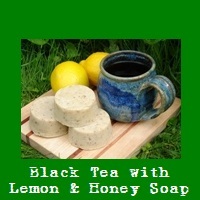 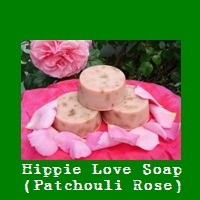 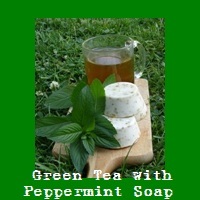 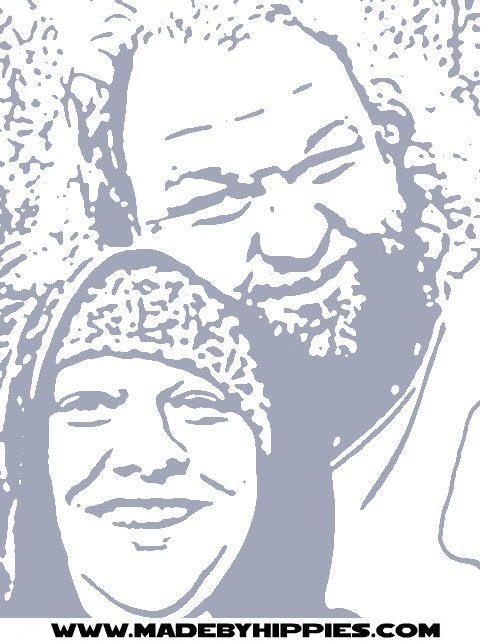 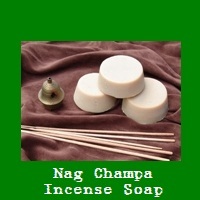 All Made By Hippies products are handmade by Amanda & Erik in their Portland, Oregon home using renewable energy. 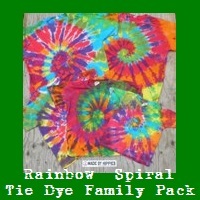 Tie dyes are safe to wash and dry with your regular laundry.